Top Rated GMAT Prep Tutors in Phoenix, AZ! Welcome to Phoenix’s top-rated private GMAT prep in-home tutoring service! All of the following Phoenix GMAT prep tutors are certified by Varsity Tutors, the leading tutoring agency in the country! 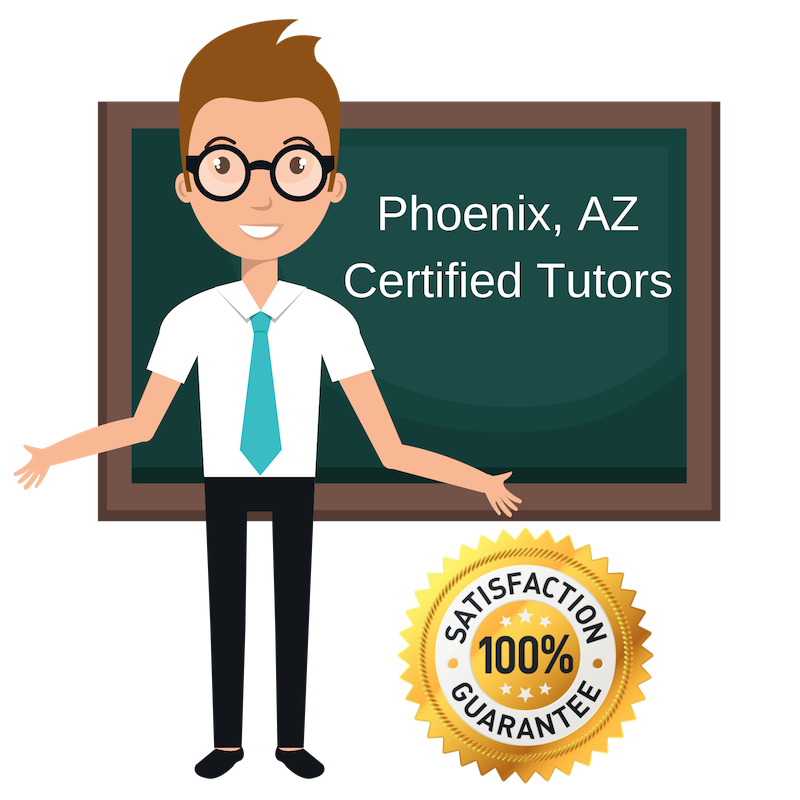 All Phoenix GMAT prep tutors have been background checked, been interviewed, had mock GMAT prep tutoring sessions, and been trained by professionals. We guarantee you will love your local Phoenix GMAT prep tutor or your money back! Get information regarding a top-rated GMAT prep tutor today! I am a math and science nerd, which has served me well as I worked as an engineer for over 40 years. I have a Bachelor’s Degree from Colorado State University and a Master’s Degree from Johns Hopkins University in Systems Engineering. Throughout my life, I have enjoyed working with students and helping them better their education through tutoring. I offer GMAT tutoring to students looking to pursue a graduate degree. I am beyond qualified to help with the math portion, but have pursued many advanced classes in other subjects as well and understand the skills needed to train yourself to become a better test taker. I am married and have five grown children, who I helped throughout their educational paths and I am ready to help you. I have been fortunate to tutor many special students over the years, and it is truly a rewarding experience and one that I take very seriously. Each student has a path they are hoping to pursue and succeed in and I want to help them get there. I tutor GMAT to students to help better prepare them for that test. I have a passion for teaching and believe each of my students gets a lot out of my tutoring sessions. I recently got a note from a student who I helped get into nursing school and her gracious words further motivate me to help more students accomplish their goals. I have a B.S. from Clarkson College of Omaha in Health Care Services. I have many awards and accolades I have earned throughout the years, and everything I have done has led me to help you at this point in your life. I love to learn new things! I am an avid reader, nature-lover and animal advocate. I am a current Master’s student at Grand Canyon University, where I also received my Bachelor’s degree. I am pursuing a career in addiction professional counseling, as I find it very fulfilling to see the transformation a patient can go through as they find their way. I have a passion for helping others, which is what led me to tutoring. Seeing a student success is very motivational and inspiring for me. I tutored in high school and have been doing so ever since. I have a strong math background, which led me to tutor the GMAT. I am a great test taker and want to help others improve their test taking abilities as well. Listening to music, going on adventures, doing hair, doing nails, addicted clients ( interested in) , playing outdoors, softball, helping others succeed. I am an energetic and dedicated tutor. I enjoy getting to know students and working through their challenges with them. I tutor the GMAT to students getting ready to take the test and apply to graduate school. I help each student to the best of my ability and make sure they get the most out of my tutoring. I am a passionate educator, working with middle and high school students in a variety of subjects. I got my Bachelor’s degree in Secondary Education from Arizona State University. I strongly believe that education and learning are key to each student’s success and truly benefit our society. I tutor GMAT to help prepare students for the test. I am a very committed tutor and work with my students to achieve success. When I’m not tutoring, I like to run, hike, lift weights and play with my dogs. In my free time, I enjoy reading and learning about topics that interest me, especially world history, philosophy, social sciences and biographies. I live in Arizona currently, so I enjoy taking advantage of the ample sunshine to hike, run or just relax. I enjoy traveling and trying out new food. I enjoy staying active and lifting weights. Additionally, I have three dogs to keep me very occupied!